Unconfusing offers built in statistic and analytics for your websites! 1. Go to you control panel. 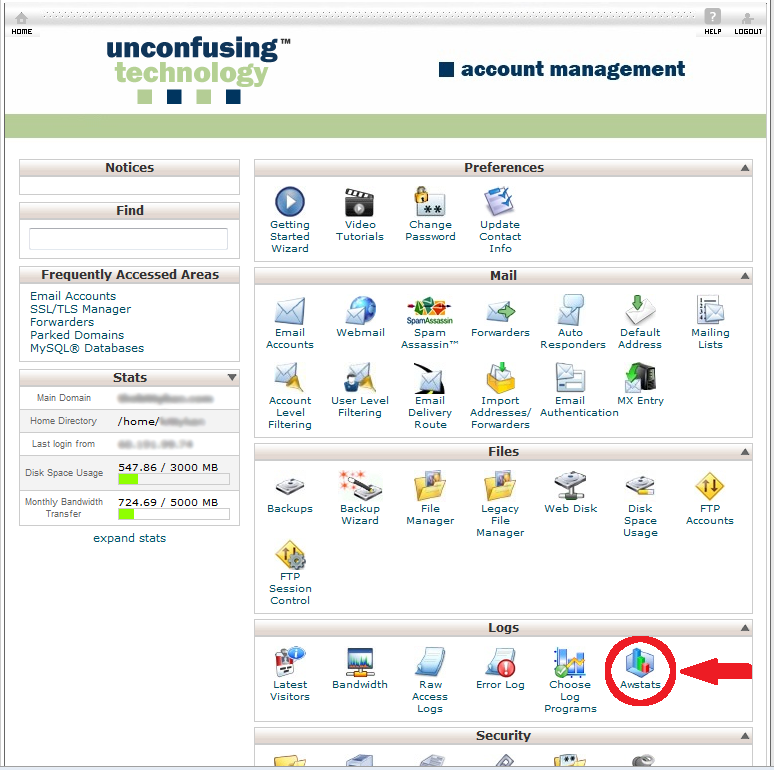 To access your control panel, go you your domain name slash cpanel. For example, www.yourdomainname.com/cpanel. 2. 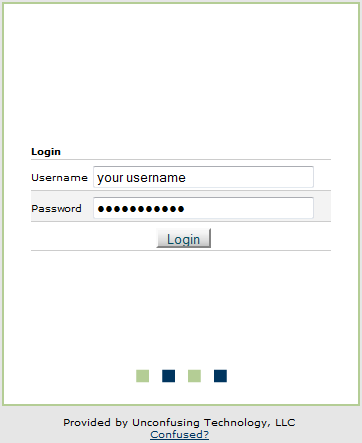 Log on to your control panel using your username and password. 4. Once you have reached this page, click the "Awstats" icon under "Logs". 5. 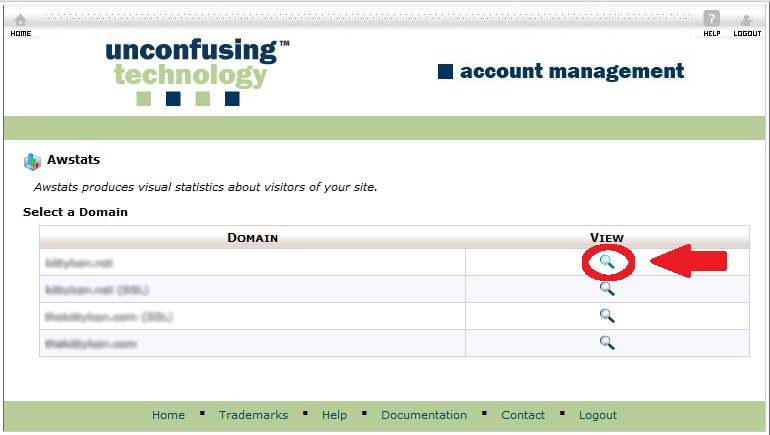 Click the search icon shown above to view your sites' statistics. You are finished! 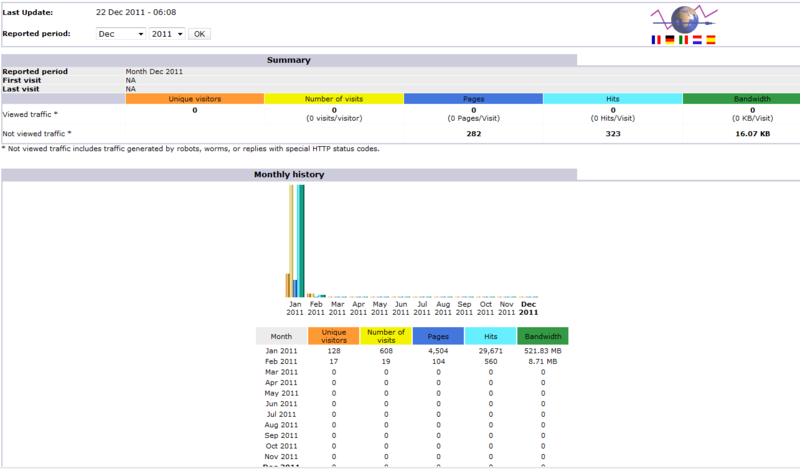 From this point, you can view statistics gathered about your specific site. Please contact us if you have questions or want to increase your site traffic. We are here to help!